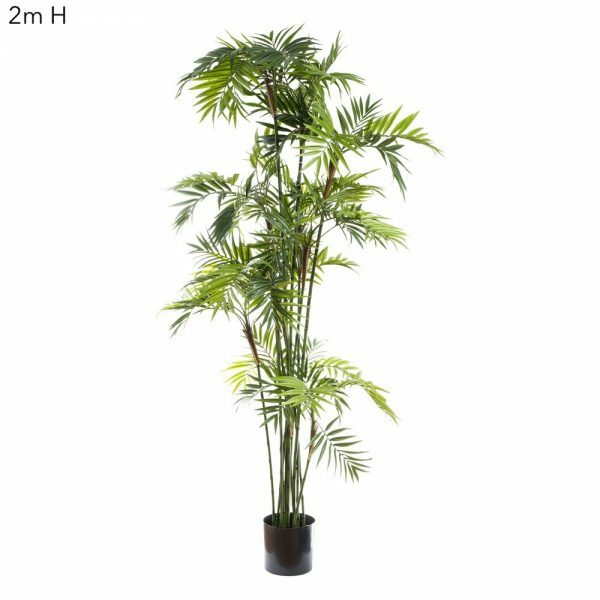 An Areca Palm 1.2mt double artificial palm for indoor dark areas that need livening up, or outdoor covered areas to create the tropical feel. 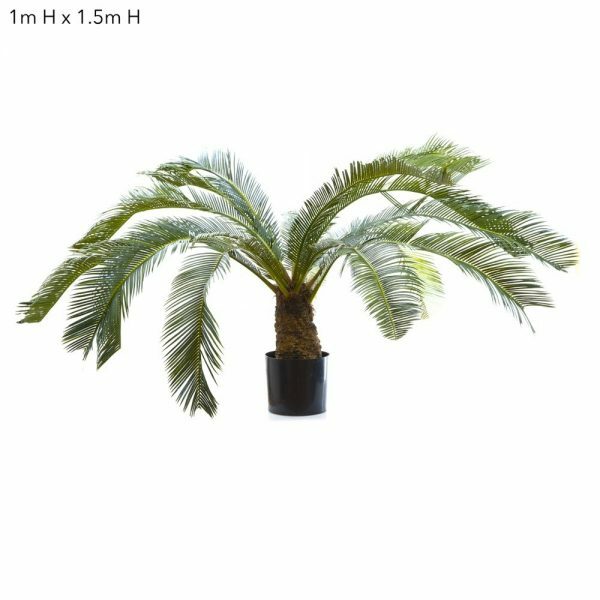 These great little palms are available in 3 different sizes 1.5mt, 1.8mt, there’s sure to be one to suit. 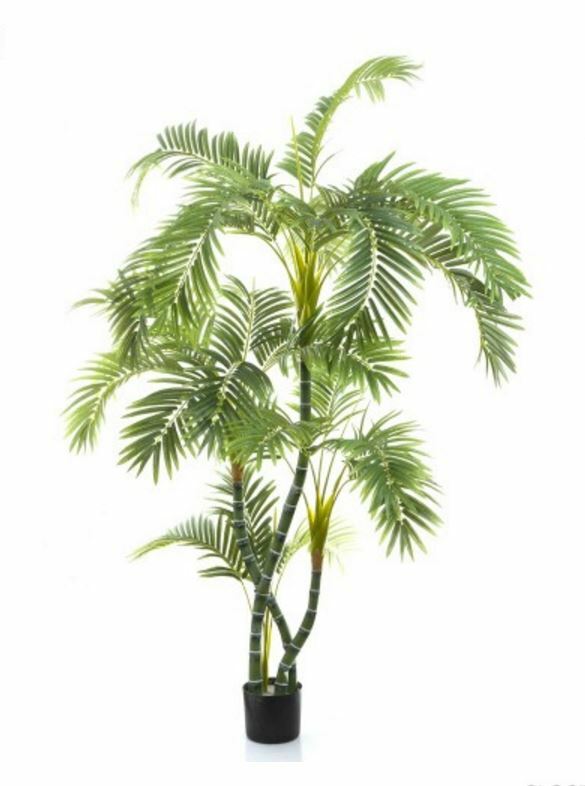 An Areca Palm 1.2mt double is a bushy little palm with 10 stems of realistic lifelike foliage. 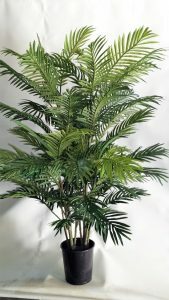 We fit 2 x Areca Palm 1.2mt palms into a single pot for a bushy fuller look.